As 2012 draws to a close, I have been made aware - through reading Pat Long's book, The History of the NME, this weekend - that it is the 60th anniversary of my one-time favourite music paper... which is still going. Just. Didn't know anything about its Tin Pan Alley early years (it arose from the Accordion Times of all things), but from the mid-70s to mid-80s I was an avid reader. It seems amazing now, but there were four weekly music papers then: NME, Melody Maker, Sounds and Record Mirror - and I would usually read, if not buy, all of them. Pre-punk, I didn't really clock the journalists' names (which would have included Charles Shaar Murray, Nick Kent and Ian MacDonald), but by the late 70s under Neil Spencer's editorship, the paper was awash with hip, young journos like Julie Burchill and Tony Parsons, the often-pretentious-but-always-interesting Paul Morley and Ian Penman, and other more readable writers like Danny Baker, Don Watson, Chris Bohn, Barney Hoskyns et al. There was an allure about being a rock writer then: free albums, gigs, flying to New York to interview some band maybe, but really just to see your name in print. I remember taking a rickety lift to their 3rd floor office on Carnaby Street (opposite Smash Hits) in February 1984 to ask ask their reviews editor, Mat Snow, if I could send in some stuff - and duly scribbled a short live review of a Legendary Pink Dots / Konstruktivists gig. But in the end I wrote freelance - sporadically - for Sounds for two or three years. Interestingly, both Mat Snow and Don Watson have ended up working for the British Council - Mat for a short while a couple of years back, Don still with us. 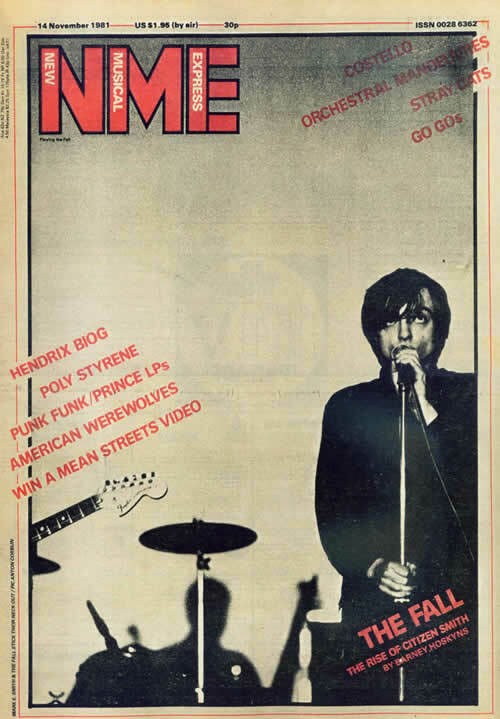 The late 70s era is powerfully nostalgic, partly because I was an impressionable teenager and there was so much great music then, but also because papers like the NME were the only source of information. I still have box files of cuttings from that time. Sounds, Melody Maker and Record Mirror have long since folded (if you'll forgive the pun), and the NME is a shadow of its former self, with a circulation of 25,000 (compared with 300,000 during Beatlemania and 150,000 in the late 70s), their journos anonymous, and its style chatty, frivolous and not-like-Derrida. But the website apparently does well.